From the German Rail Passes website, I purchased a four-day 2nd-class rail pass (within 1-month) for an equivalent of €202. I checked fares on the Deutsche Bahn website, and I took note of the lowest and highest 2nd-class fares in both “Sparpreis” (cheapest) and “Normalpreis” price categories. I estimated the distances using “Strecke” values returned by the Luftlinie distance calculator (in German). 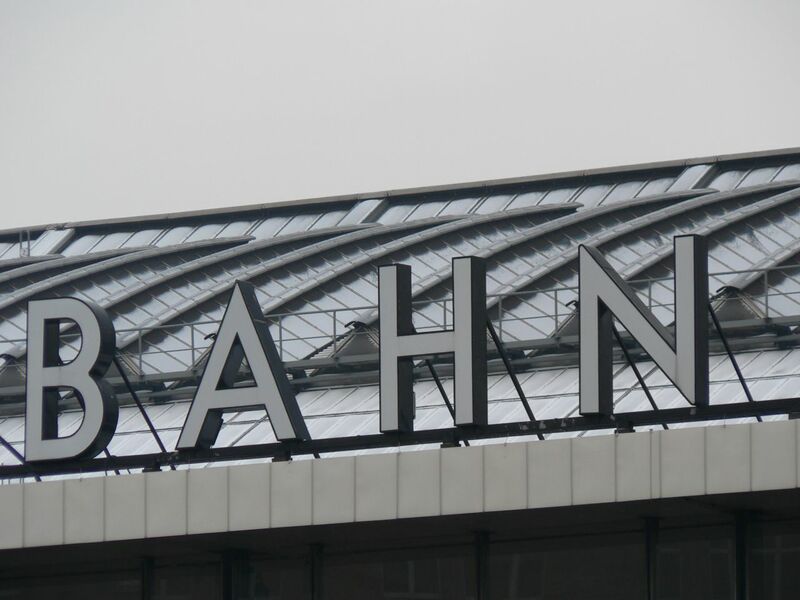 The German abbreviation “Hbf” is short for “Hauptbahnhof” or central station. The Rail Pass does not restrict the passholder to a specific train on a given date and time. To save the most money, purchasing individual Sparpreis fares ahead of time would be the way to go. I don’t save a lot of money with the 4-day Rail Pass if I purchase “Sparpreis” fares (more than 3 days before the travel date). If I’m less than 72 hours to the travel date, I would purchase “Normalpreis” fares, in which case the Rail Pass saves me about $100 USD. The price-difference between Sparpreis and Normalpreis fares is much larger with long-distance rail-journeys beyond 250 km, which is consistent with my findings here and with past trips to Germany. I prefer schedule flexibility, and that’s why I go with the Rail Pass. For example, if I decide to stay longer in a city (e.g., for lunch or coffee with friends), I can’t change the “fixed” ticket without incurring extra fees. The Rail Pass allows me the freedom to take another train, if I’ve decided to stay longer or leave earlier than planned. Note added 22 July: I also used the GoEuro website for a quick and visual examination for travel within Germany. I compared different travel modes for intranational trips and a return-journey between Frankfurt or Cologne and Prague. Disclosure: No Connection, Unpaid, My Own Opinions. I have not received any compensation for writing this content and I have no material connection to the brands, topics and/or products that are mentioned herein. This post appears on Fotoeins Fotopress at fotoeins.com. I may be the only one but I’m really not a fan of the German Rail System. It’s just so expensive compared to other countries…for very little extra return. Yo, dude. I really should get a hold of the paperback, “Senk ju vor träwelling”: Wie Sie mit der Bahn fahren und trotzdem ankommen” (Senk ju vor träwelling: how to travel by train and still arrive nonetheless”), which I’ve seen in bookshops in Deutsche Bahn Stations! 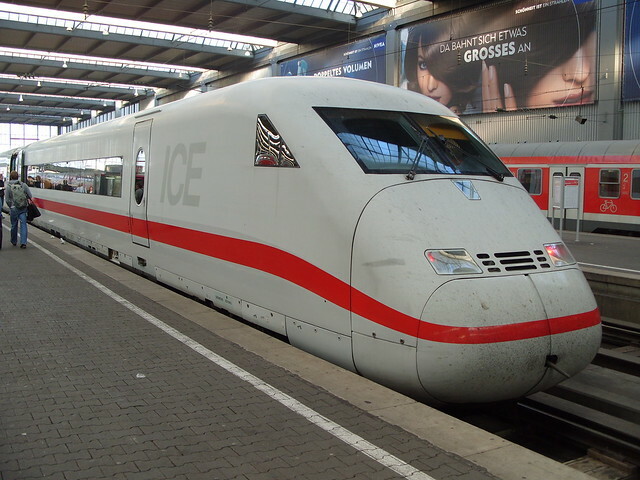 Some time ago, I’d read on Der Spiegel that the Bahn will begin removing some English terms and phrases in favour of the German versions (http://www.spiegel.de/reise/aktuell/deutsche-bahn-will-anglizismen-vermeiden-a-907402.html). Imagine the uproar, however, if announcements were made in perfect English, but less than perfect sound German. Thanks for reading and for your comment, Ömer! Hi, Tara. Riding the train in England is a different experience to be sure. It’s no wonder many in Germany feared the possible consequences of “privatization” after what happened in the United Kingdom. Although I don’t live in Germany, I’ve been coming back to the country 1 to 2 times per year since leaving in 2003, and I’ve noticed some operation and management changes, even though I’ve always been on the train within Germany. The second-class cars seem to be full almost all of the time on the long-distance journeys, which I suppose is good for numbers, especially if you have something like the “fraction of seats occupied at any given time” or “occupied between two cities” as a metric. Thanks again for reading and for your comment! Hi, Adam. You’re not alone in expressing disappointment; a number of my friends are disillusioned by how the Bahn is presently managed and run. Coming from “outside Europe”, the trains in Germany are still a dream. Since late-2001, I’ve been riding the rails of the Bahn, and despite occasional Verspätungen, I’ll take the train over the plane for intranational travel. You’ll notice that two of my trips involve distances less than 250 km. As I mentioned, savings are much higher for trips exceeding that distance, which seems to be consistent with how I’m reading the Bahn’s policy towards Sparpreis and Normalpreis fares. Thanks again for reading and for your comment! Looks like a nice itinerary. I’ve had great experience using the rail system in Germany, especially with a pass since it’s so convenient. Wish I was back there now. Have fun. Hi, Cathy, and thanks. For just four legs, I have a relatively short trip in the country. I’m sure you’re well aware of traveling around the country on the train, and making for relatively long days riding on the rails. I’ll think of my fellow travel-bloggers while I’m on the train. Thanks again for reading and for your comment! Have never used the rails in Germany. Love the comment by Faik about the funny announcements….always look on the bright side of life! Hi, Anita. Well then, I guess you’ll just to have ride the rails there, but also through Switzerland and Austria; I understand the snowy surroundings are spectacular. 🙂 The announcements in “Denglisch” are well-known, and they are good for a chuckle. The staff mean well when they’re on the public-address system, but sometimes, the strongly accented English makes for good comedic fodder. I’m sure someone out there is having a laugh at my accented German. Thanks again for reading and for your comment! I use this methodology for comparing prices for railpass versus point to point tickets for all my trips in Europe. Sometimes I buy a railpass, sometimes I buy point to point and most often I do a mixture of the two. If you are looking at travel on intercity trains that require a compulsory reservation it’s Important to factor that cost into your point to point or railpass comparison and holiday budget. Hi, Jo. I also think that’s a good method, especially if I know I’ve got some short-distance and long-distance travel. I’ve had itineraries where I began in Heidelberg (south of Frankfurt am Main), traveled down the Rhein to Cologne, onwards to Hamburg and to Berlin, traveled through the heart of the country to Munich, then back west to Frankfurt. You make a good point about checking for compulsory reservations on specific and/or long-distance trains. In the past, when I’ve purchased a rail-pass for trips on InterCity Express trains within Germany, I’ve never gone the extra step and purchased “seat reservations”. In many cases, I can generally find an available seat in a 2nd-class car. There are some “obvious” exceptions: Friday-afternoon and Sunday-afternoon trains are packed, and don’t get me started on December weekends. Thanks again for reading and for your comment!